Belo Horinzonte means Beautiful Horizon. With its 7 rolling hills, its an interesting inland city in Minas Gerais state, which full of gems and minerals. Wonderful city for who wants to enjoy the nightlife but also really enjoy a day life. In BH, you can find many different things to do, without talking about the nature around the city that is really beautiful too. 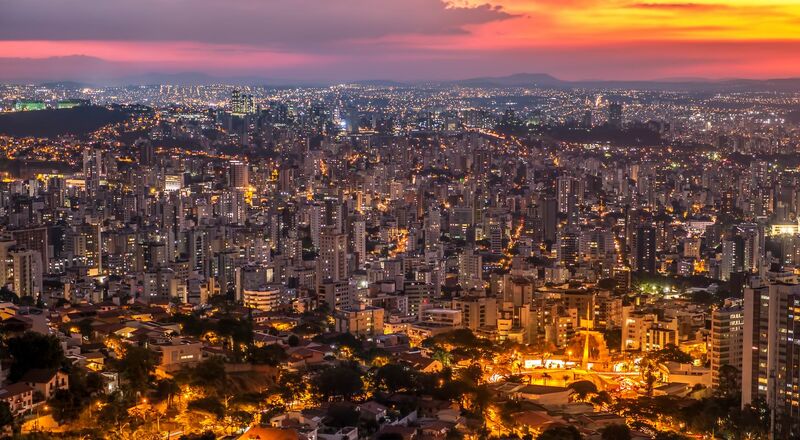 Belo Horizonte: a great combination of urban space and garden city in Minas Gerais. The city, surrounded by the business world, full of cars, buildings, busy by the large number of people who live here, also has its bucolic side and has amazing places to be enjoyed. Best city in Brasil to live!